The Boreal Forests of the world, also known as “taiga” from the Russian term, comprise about one third of the world’s forest cover (16.6 million km2). The boreal constitutes the northernmost forests of the globe, ranging from latitudes of 50 to 70° N. The majority of the boreal ecoregion is located in Alaska, Canada, Russia, and the Scandinavian countries. In addition to forested areas, the ecoregion also includes grasslands, barren areas, and wetlands. Boreal forests exist on previously ice-covered or glaciated soils and the organisms inhabiting them face constraints from cold temperatures, nutrient limitations, short growing seasons, periodic fires and snow cover. As a result the plant and animal species existing in these regions have adaptations for extreme conditions of cold, ground frost, wind, snow and ice. Boreal forests are dominated by coniferous softwood species that are able to survive in the cold climate, namely spruces (genus Picea), larches (Larix), and firs (Abies), but contain some sites of broadleaf hardwood species such as birches (Betula) or poplars (Populus). Plant, lichen, moss, and animal species throughout the boreal also share similar adaptations to the ecological and climatic constraints present. Such adaptations of flora and fauna in boreal ecosystems have evolved with regularly occurring large disturbances, such as fires, insect infestation and disease, resulting in natural patches of young, regenerating forest in the larger matrix of forested land. This provides heterogeneity needed to support the variety of wildlife that inhabits these areas. Beyond natural disturbances, boreal forests are impacted by anthropogenic causes, such as forest dieback from air pollution, site impoverishment from prolonged intensive harvesting, influence of genetic improvement on species composition, and climate change. Humans have utilized, harvested and managed boreal forests for several centuries. Today, these regions supply about 45% of global softwood production. Across the boreal, the extent of human influence ranges from intensive management to untouched forests, and utilization includes traditional forestry activities, recreation in national parks, and indigenous livelihood practices. The differences in forest condition across the boreal ecoregion are reflective of the various countries’ governance and historical management. Ownership, laws, and precedents vary by country as well. In addition to the direct effects of timber production, other industrial and developmental activities, such as mining and road building, are leading to degradation and fragmentation of the boreal. Beyond its importance for timber production and biodiversity, the boreal forest is gaining increasing attention for its role in carbon storage and climate change. Occupying such a large proportion of today’s global forest cover, it is unsurprising that the changes in the boreal and climate change are interlinked, although the full impact of this relationship is still uncertain. Projections predict shift in range of boreal forests, shifts in species composition, increased disturbances, and altered ranges of wildlife that inhabit these regions. Overall, boreal forests constitute a significant proportion of the globe’s forested regions, and continue to have an important role in global timber production. While natural disturbances play an important role for the region’s wildlife, both natural and anthropogenic events are altering the health and extent of boreal forests. To address these concerns and simultaneous production needs, countries have different governance approaches that shape forest management and conservation for today and the future. Read more about the significance of the boreal including its Ecoregions and Ecology, Forest Use & Logging (coming soon) , Land Use in the Boreal (coming soon), Forest Governance in the Boreal (coming soon), and the Boreal and Climate, by following the links below. FAO. (1999). Forest Management in Temperate and Boreal Forests: Current Practices and the scope for implementing sustainable forest management. Working Paper for the World Bank Forest Policy Implementation Review and Strategy. 1-45. Korovin, G. (1995). Problems of Forest Management in Russia. Water Air and Soil Pollution.82(1-2): 13-23. WWF. (2007). 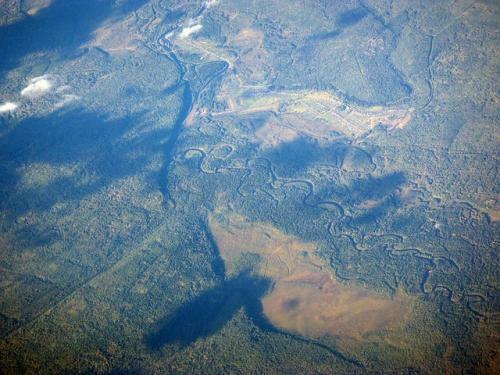 Russia’s Boreal Forests: Forest Area Key Facts & Carbon Emission from Deforestation. 1-4.